ENJOY HOTEL SUITES WITH KITCHENS, JACUZZI ACCESS, AND MORE! A great hotel isn’t just a hotel — it’s a home away from home. This is why the Larkspur Landing Milpitas offers complimentary services and amenities to make your stay even more comfortable, enjoyable and authentic. Get off on the right foot with a delicious continental breakfast, providing the extra burst of energy you need to get through the day. Or, because your hotel suite features a fully equipped kitchen, you can make whatever your heart desires to start the day off right. If you’re visiting us on business, we are proud to offer an on-site corporate meeting space with all the conveniences you need to be productive, including audio-visual equipment and wireless Internet access. Additionally, our 24-hour business center is stocked with computers, a color printer and more, ensuring you’re always able to take care of your last-minute print job or send a fax to the office. The business center is also perfect for vacationers who need to print directions for their daily adventures. At the end of the day, enjoy relaxing in front of a glowing fire, coffee in hand, while reading, working, or waiting for your shirts to dry in our complimentary laundry room. Enriched with a warm fireplace and cozy couch and plush chairs, our living room-style lobby is bright and inviting, welcoming relaxation and unwinding. And be sure to join us every Tuesday, Wednesday, and Thursday from 5:30 – 7:30 for our evening reception. Finally, no stay in our Milpitas hotel is complete without a workout in our fitness center followed by a dip in our jacuzzi spa; this may be just what you need to keep your productivity up and stress level down. The Larkspur Landing Milpitas is located near I-880 and Highway 237, less than 15 minutes from the San Jose International Airport and 10 Minutes from Silicon Valley. Your Landing At Larkspur Landing Milpitas, the beauty is in the details. Business ServicesNeed to revise a client presentation or print a full-color report before this morning’s meeting? No Problem. Comfortable RoomsFeel the stresses of your day dissolve into plush sheets and cool, feather pillows. 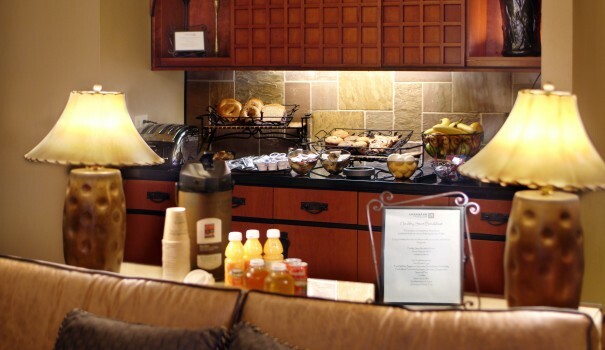 CONTINENTAL BREAKFASTWith healthy options available seven days per week, you’ll have a healthy start to tackle your day. 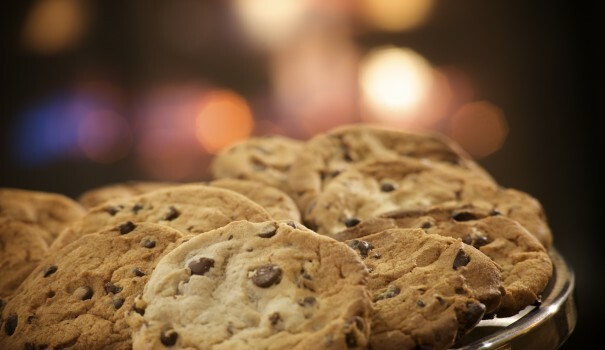 Things we do for youBaking fresh cookies is just one of the many things Larkspur Landing hotels do for you every day.